Tax time is right around the corner for most of us in the U.S., which means it’s time to start thinking about how to find new clients for the 2017 tax year. One of the many great places to look is social media. Here is a smorgasbord of tips on how to do just that. 1. Post helpful content. Create something useful for your clients and post it on social media platforms. 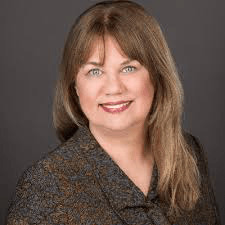 The blog article, “7 Financial Tips for House Hunters,” by Deborah Meyer, CPA/PFS and CFP, is a good example of tax-related content that can be shared on social media. Short posts, such as deadline notices and fast facts, will work, too. Posting your opinion on celebrity tax mistakes brings a human interest to the topic of tax. It never hurts to include babies, kittens and puppies. Here is a graphic we did for one of our tax clients that included a link to her tax services web page. Now that Twitter has extended the length of their posts from 140 to 280 characters, you can go into a bit more depth when writing posts. 2. Look for people with immediate needs. Search social media posts for phrases such as “tax question” to look for people who might be in immediate need. When I searched for this, several accounting professionals, as well as individuals, were the ones asking. We get business from each other, so it’s a great way to connect and share. 3. Find clients just like the ones you have. If you have a decent-sized email list of clients or a large number of LinkedIn connections, you can extract their email addresses and enter them in Facebook Ads to create a lookalike audience. You can then run Facebook Ads using your new lookalike audience to find more clients just like them. Running Facebook Ads using lookalike audiences is a very effective way to find more clients. 4. Share your expertise in groups. Joining and posting in LinkedIn groups, Facebook groups and other social communities, such as the QuickBooks® Community, can help you become known among the members. Periodically scour the questions that are posted and answer what you can. When people see you have expertise, they feel comfortable sending business your way. Look for groups that have members in industries you are targeting. Also, join groups that have members with the same social interests as you. One example might be if you are a classic car enthusiast, join a classic car Facebook group and you will probably find high net worth clients there, too. And, don’t forget to join your alumni groups, where graduates from the same school can find built-in camaraderie that can speed up trust building. 5. Target specific businesses. LinkedIn is the best platform to learn more about a specific business you want to target. You can search for the company name to find specific employee contacts. Then, you can reach out to them via a note or connection. When you target specific businesses or people, don’t start by asking for the sale. Instead, find a way to compliment your prospect. Find out what their interests are and send them an article link or something else you think might add value to them. Get to know them, then ask for a meeting when you feel they are curious enough about what you offer. 6. Use video. Video posts are noticed more than text or graphic posts. Facebook gives live video posts more newsfeed time, meaning more people are exposed to your posts. And, videos generate more comments and likes than other posts. LinkedIn videos are fairly new, so they garner quite a bit of attention right now, too. The biggest hurdle is simply putting yourself out there and trying it. It’s the closest thing we have online to the face-to-face experience and may be able to save you from having to attend all those local networking meetings to get clients. 7. Mix social media with other marketing. Social media should be part of your lead generation plan, but not all of it. After you’ve attended a live event, use LinkedIn to connect with people you just talked to. Include your website URL in your social media posts to send people from one marketing method (social media) to another, such as your website. Combine social media with other marketing method for best results. 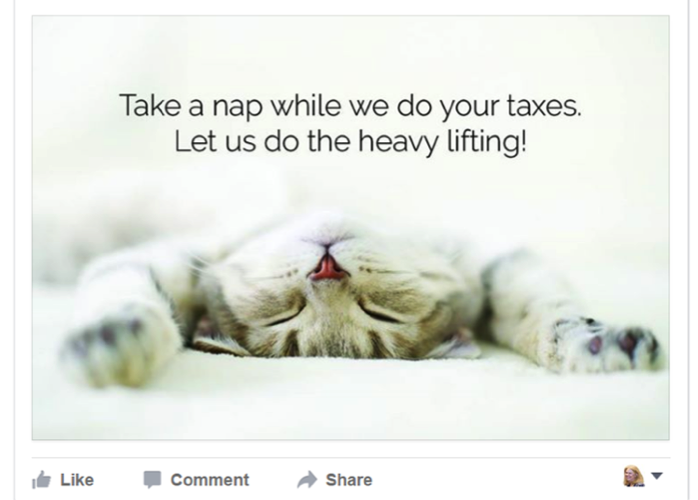 Have fun with these social media tips so you can attract new tax clients to your practice.